Wine Country benefits at two locations! Think you know La Crema? Made from the nine of the highest quality barrels from 2015. 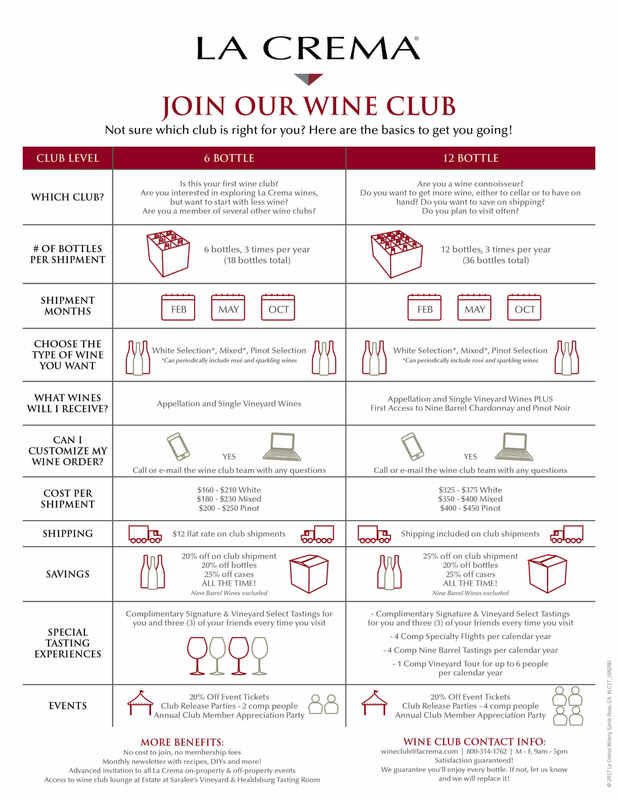 Wine club memberships are for a minimum of one year. Cancellations are required to be submitted in writing at least one week prior to billing date. Early cancellations may be subject to the reversal of discounts received as a La Crema club member.